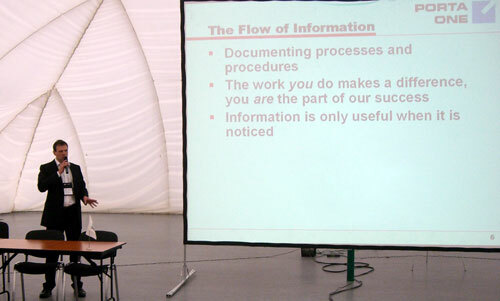 Andriy Zhylenko, PortaOne’s CTO delivered his presentation at ISDEF 2007 Conference in Moscow, Russia last week. ISDEF is the Independent Software Developers Forum that supports and improves the processes of software development and market introduction and promotion. This is not the first time PortaOne participates in the forum. We do it every year on a regular basis to share PortaOne’s success stories and our unique experience with emerging software companies. You can meet Andriy and other members of PortaOne team at the Fall VON in Boston, MA next week on November 30-31. Please stop by at our booth 1243 for live demos of our products.